With our increasing coverage of most (we'd be a little arrogant to say all) things Star Trek I'd like to welcome a new regular slot hosted by +Christopher Whitford, the curator of the Google+ Sci-Fi Fans and Modellers United Community. 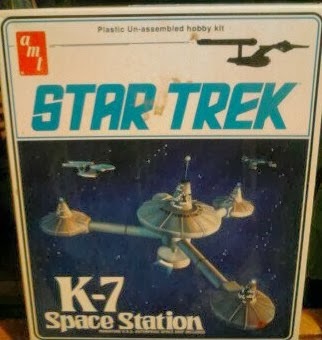 You know in the world of scale modeling you have the good ole standbys; your cars, aircraft, ships and then there are spacecraft which you can narrow down to sci-fi spacecraft and furthermore you have your Star Wars, Batman and then you get to Star Trek. Yes, the beloved Star Trek models and what a selection of them are out there. The classic Enterprise in a multitude of scales from 1/2500 to 1/350, the classic Klingon D-7, the Romulan Bird-of-Prey, Space Station K-7, Spock, the Exploration set, the bridge of the Enterprise, and the list goes on. From Enterprise to Voyager I am pretty sure there is a Star Trek model kit that you would want to build. "But how to get started?" I hear that question many times and the answer is the same - Research. 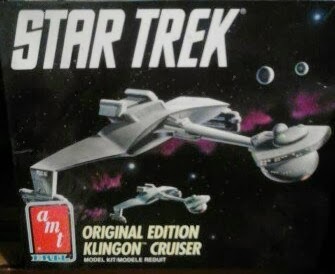 Star Trek kits are out there for the beginner right through to the experienced modeler. My recommendation to the Novice Star Trek modeler is often this; the Polar Lights 1/1000 classic USS Enterprise. It is a simple kit, but by building it you will learn basics such as gap filling, seam filling, sanding, painting, applying decals and from there I would suggest a couple more of the 1/1000 kits by Round 2/Polar Lights. Just by doing those you will be surprised how you skills will increase with each model that you build. From there, try some of the other kits such as the AMT 18 inch Enterprise will teach you more than you will ever know due to its inaccuracies alone. These errors are well documented and there is a plethora of accurate aftermarket parts out here to help make it the star in you stash. 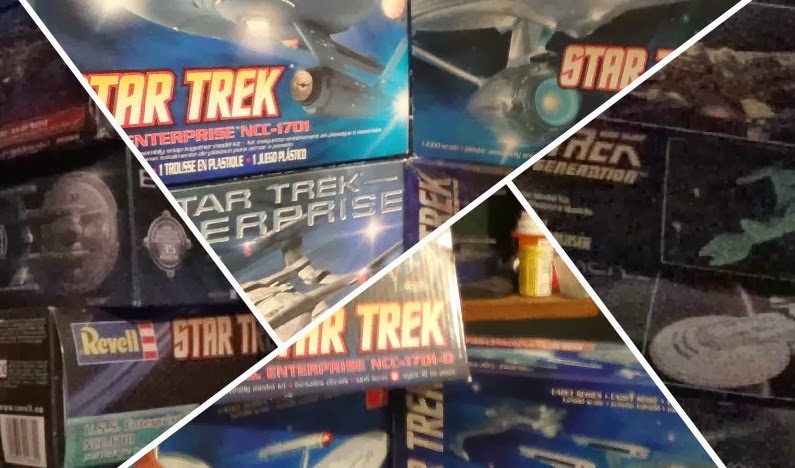 Then there are the 1/350 scale kits that at current include the NX-01, the classic NCC-1701, and the Enterprise-A/1701 Refit which are the big boys - and big is the word coming in around three foot each and to make them stand out even more they absolutely need to be lit so another skill you will develop is how to light model kits. That pretty much wraps up my first post about Star Trek modeling. Next month we will go in to detail about what you will need to build your first model and share some tips on how to do it on a budget. See you next time and remember get of here and go build something! Interested in finding out more about the group? Why not drop by and take a look...HERE. Any questions or Star Trek modelling challenges? Why not submit a question below?